Adam got up early this morning and rode out to the peninsular that juts into the sea near Alcudia. It was like a mini-Formentor, but at 8 o’clock devoid of cars and people. The sunrise made getting up early worthwhile. And it seems that Alcudia has an old part surrounded by walls, so it isn’t all just a strip of tacky bars. Then after breakfast we drove up into the mountains to go walking. From the refugi we started heading uphill through more terraces and with views down massive valleys and across the Mallorcan flatlands. The route then headed through some beautiful woodland, before giving superb views of Puig Major before we got back to the car. The cycling in Mallorca is spectacular, but so is the walking. We will need to come back to explore more of the island. Or just move here for a few years. 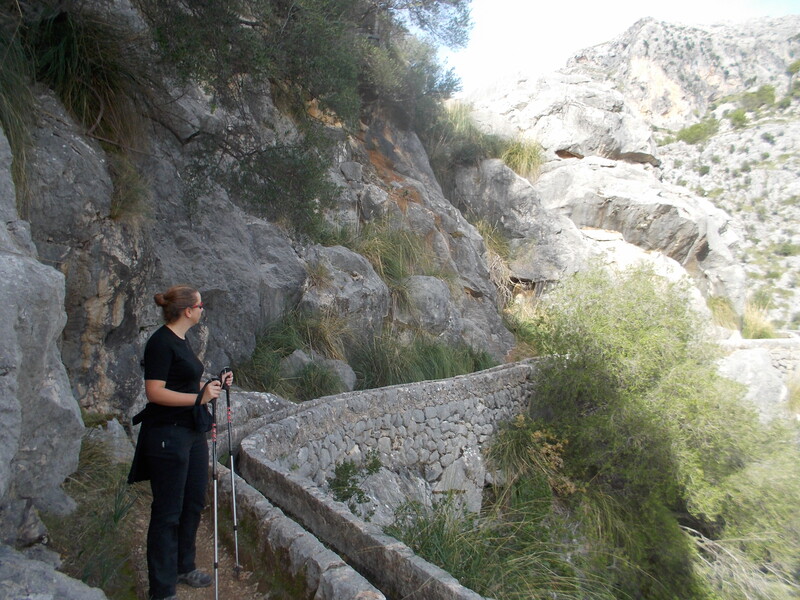 This entry was posted in Blog, Mallorca and tagged walking. Bookmark the permalink.